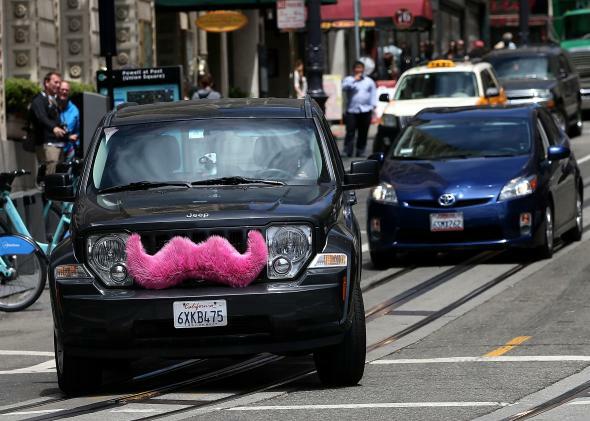 “Just tap the big green button to request a pickup. You’ll get matched with a friendly, background-checked driver from our community within minutes. Track your driver’s route and ETA in the app. You’ll also see a photo of your driver and their car, so you always know who you’re riding with. 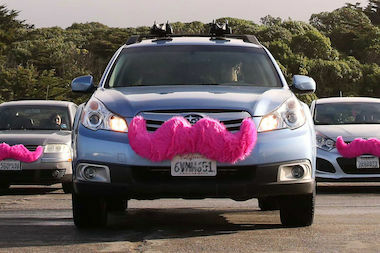 That said, our pink car mustaches make us pretty hard to miss. When the ride ends, the app securely charges payment from your saved credit card. No need to carry cash! Passengers and drivers rate each other. If you rate someone 3 stars or below, you’ll never be matched with them again. It’s how we keep our community’s high-quality standards”!